This page describes RF Chemotherapy working operation. It mentions how RF Chemotherapy works along with its benefits and drawbacks. Chemotherapy: The use of any drug or medicine to treat any disease is known as Chemotherapy. RF Chemotherapy:	The use of microwave energy or RF energy with appropriate power to treat any disease mainly cancer is known as RF Chemotherapy. 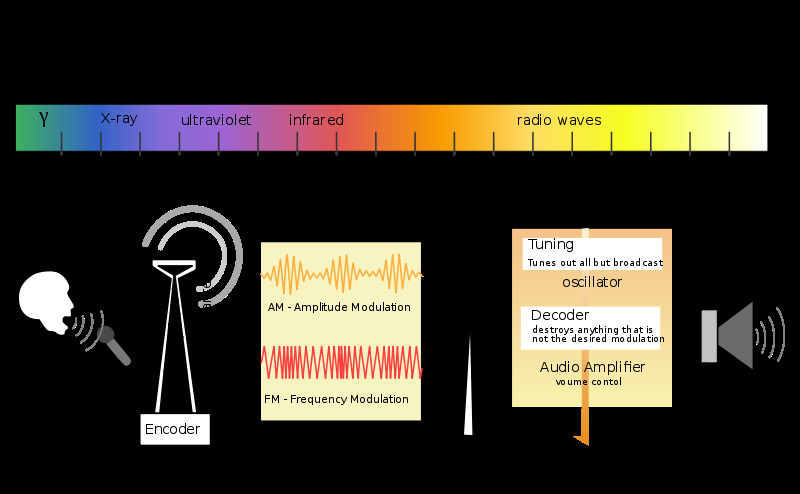 The electromagnetic (EM) spectrum spans from radio frequency waves to microwave frequencies, ultraviolet frequencies, visible light frequencies, infrared frequencies, x-rays and gamma rays. Figure-1 depicts EM spectrum showing radio frequency (RF) range. RF Energy has many applications such as wireless communication, cooking, medical domain etc. Radio frequency (RF) energy at carrier frequency between 13 to 27.12MHz is known as shortwave diathermy. It is widely used for therapeutic medical application. There are two main types of RF spectrums viz. 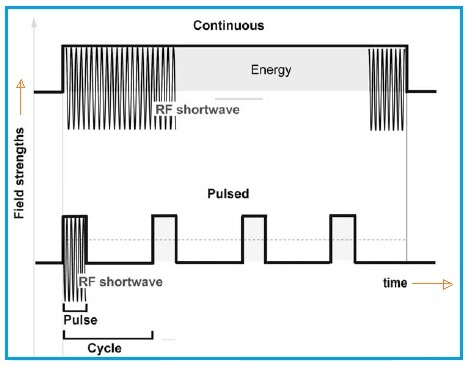 continuous RF and pulsed RF. This is shown in the figure-2. Continuous delivery of RF energy to tissue leads to increase in tissue temperature. This is used for therapeutic delivery of deep heat. Delivery of pulsed RF energy to the tissue can allow dissipation of heat between pulses. Pulsed RF energy has wide range of therapeutic applications or uses. It is well tolerated due to non-invasive nature of the application. 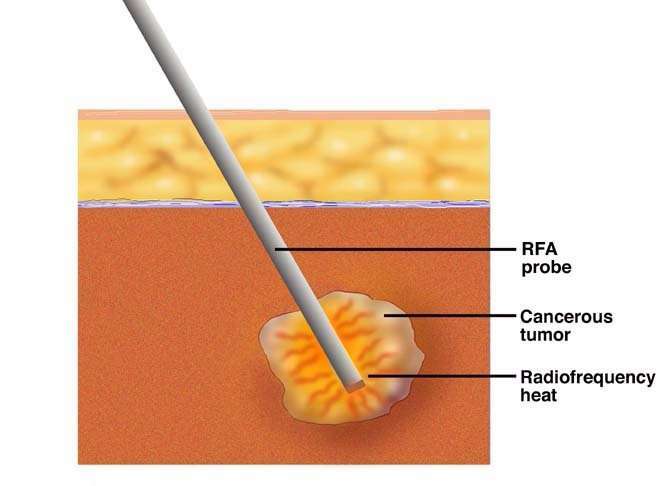 Let us understand steps to know working operation of the RF Chemotherapy. ➨In this method, affected cells are subjected to RF energy waveforms with appropriate frequency and power as per manual of the equipment. ➨The microwave frequency increases the heat of the tissues or cells. The cancerous cells usually will have high temperature in comparison to normal cells. The RF energy application to cancerous cells will increase its temperature above the normal temperature of 37 degree C. The cells will die due to this application. ➨The method does not have any side effects compare to normal chemotherapy and ionising radiation. Refer Advantages and disadvantages of RF Chemotherapy for benefits and drawbacks of RF chemotherapy treatment method.